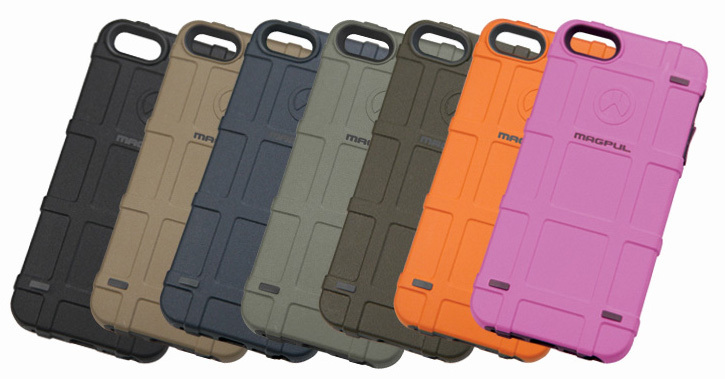 Magpul's highly anticipated tactical Bump Case for the iPhone 5s and iPhone 5 is now available in 7 colors for $27. 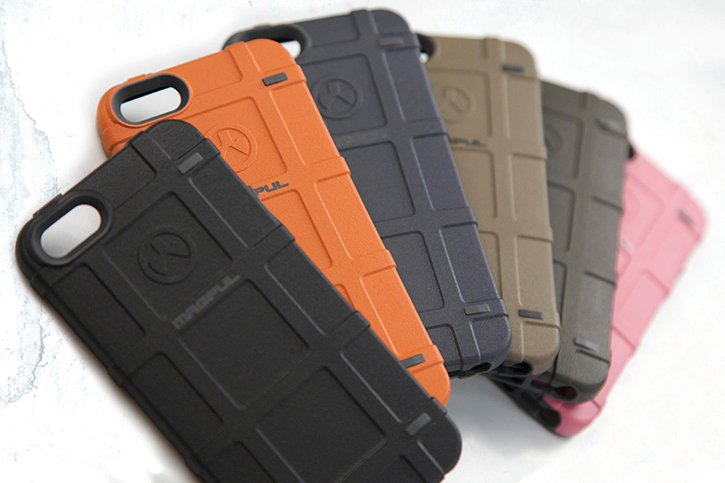 Although it features a similar textured ribbed surface design as the inexpensive Field Case we reviewed, the Bump Case offers more protection in that it combines a hard polymer exterior shell with a shock absorbing semi-rigid interior layer to maximize protection against abrasions and impacts without adding unnecessary bulk. The Bump Case's hybrid dual co-moulded material construction is reminiscent of the all too popular Speck CandyShell, albeit tactical in the way it looks and feels. The company that is more known for manufacturing third party tactical gear for weapons managed to impress us with its affordably priced, USA-made iPhone cases in the past, namely the Field Case for the iPhone 5 which has proven to be a really terrific value for the amount of grip, fit and finish it offered compared to countless cases selling at more than double the price. While it's true that now Magpul has raised the price of its original Field Case from $13 to $17, we think it still remains to be a superb option. The Bump Case on the other hand will set you back $27, however, understandably so as it's a more complex case to produce.